The SCE validates external training provider’s courses, seminars, workshops, lectures, site visits for CPD credits. CESA and SABTACO in a Joint Venture were awarded CETA funding, to support an extensive mentoring programme, for 150 candidates to develop towards professional registration. The School of Consulting Engineering was founded by CESA in 2000. The School aims to provide the opportunity for Consulting Engineers, their staff, their clients and other interested parties in the Built Environment to enhance their business, professional and entrepreneurial skills. All training is interactive and participative. The methodology is designed to achieve maximum group participation. It allows delegates to take away real practical skills, rather than just theoretical knowledge. The annual training programme comprises of seminars, workshops, short courses and skills programmes, which are developed to meet the specific requirements of the industry and are held all over the country. If your company has more than 10 people wanting to attend a particular course, a dedicated in-house training course can be arranged at a time convenient to you. In addition to receiving a special group discount it also saves on travel time and is an excellent intellectual team building exercise, giving companies the ability to work with and discuss confidential company data. All courses are accredited in line with ECSA's CPD policy. • CPD points in ECSA’s Category 1, which is compulsory for re-registration. For further information on the above, please contact the SCE via e-mail sce@cesa.co.za or on (011) 463-2022. There is a clear need for additional development of engineering graduates employed by consulting engineers to broaden the scope of their knowledge beyond pure engineering in order to create a larger reservoir of skills and to attract and retain new entrants to the industry. The CESA development programme, comprising certificates in the Business of Consulting Engineering and Management in Consulting Engineering better prepares young professional engineers and technologists to deal with all aspects of the complex and competitive world of commercial business. Modules focus on upgrading the business and project delivery skills, competencies and capabilities of engineers within a consulting firm. Each certificate programme enables engineers to study without impacting negatively on their normal work obligations. They are of a modular nature and each can be completed within one year. It involves attending three one-week block-release modules per year. At the end of each module, the participant is assessed. Participants are required to complete assignments in between the modules as part of a distance learning programme. Assignments are practically oriented and are based on the delegate’s working environment. The CESA programme has been developed over a period of eighteen months and has involved considerable research and input from a broad range of industry leaders and personnel representative of the industry as a whole. The programme has been designed and structured by specialist education consultants to ensure that it is relevant and of the highest standard. The School continues to offer individual short courses to provide specialized training in selected fields of study to broaden and hone the skills of consulting engineering employees. These courses also enable registered professionals to assimilate points required for continuous professional development. To provide engineers in the consulting industry with the business and soft skills which are inadequately addressed in their engineering training in matters such as project delivery, contractual and financial administration of projects, and the business aspects of consulting engineering. To provide engineers in the consulting industry who have some experience, and who have completed the basic course, with advanced skills in financial, business and human resource administration, and management of a consulting engineering firm, together with specialized training in selected fields of project delivery. To assist engineers in the consulting industry to understand the professional environment in which they work, including quality, moral and ethical issues. To lay the foundation for, and prepare engineers for a future management role in consulting engineering firms. To broaden the minds of engineers by providing an opportunity to network, interact and exchange views, ideas and knowledge with their peers. The programme closes the gap between the engineering training currently provided at tertiary education institutions and the business skills needed to function in the consulting engineering industry. Firms benefit by having engineers who have been taught the detailed processes of project delivery and the basic soft skills of consulting engineering and who have been prepared to take on future management roles. The programme benefits Member firms by focusing on all aspects of project delivery. Small and medium firms benefit by equipping engineers with basic business administration and management training and a recognized qualification which will equip them for a management role. Larger firms benefit by creating a pool of skilled consulting engineers with the training to accept a leadership role in any position in a consulting engineering firm. By offering advanced training in specialist fields of consulting engineering through a wide choice of elective subjects, the courses benefit firms by improving the skills of those engineers whose focus remain on engineering throughout their careers. The basic objective of the training programme is to equip engineers and technologists working in consulting engineering firms, with the non-technical skills which are generally not taught as part of the traditional curriculum at tertiary engineering institutions. The BCE training course is a full-on tertiary education programme, not be confused in any way with the individual short courses offered by the School of Consulting Engineering. It has been designed at the level of a recognized tertiary qualification, and is aimed at engineers and technologists who have the potential to rise rapidly towards senior levels of management and responsibility within their firms and bring with them the skills and capability required at such levels. Relevant non–engineering qualification (Finance, HR, Legal) with a minimum 3 years’ experience in a consulting engineering firm. Applications from students who lack the above basic requirements will be considered, provided these are accompanied by a detailed written motivation from the applicant’s employer. Experience has proven that students without these requirements usually struggle. Business of Consulting Engineering includes three Business subjects and one core Project Delivery subject. Each programme consists of three trimesters, which commence with a one week block release module taking place at the SCE in Johannesburg. Each module runs from Monday through Friday and includes contact teaching and along with group and one-on-one sessions. With a “portfolio of evidence” based on the assignments and a final written exam to be completed end 2019. The time between the Modules, approximately 13 weeks in duration, is used for self and workplace learning. Assessments take place shortly before the end of each trimester, with the final written exam venue being at the SCE or at a venue at each Branch to facilitate Members throughout the country. Participants are required to demonstrate a high standard of competence according to the required outcome. Business integrity, morals and ethics. Income statement: income, gross profit, net profit/loss. Balance sheet: assets, liabilities and owners equity. Cash vs profit, cash flow management, working capital management. Key ratios: profitability, liquidity, efficiency, solvency. Principles of life cycle costing and amortization. Principles of capital budgeting, present value, discounted future values. Fees: fixed (lump sum) vs time based vs percentage of cost of works. Project income: percentage complete, work in progress, invoicing, VAT, accounts receivable, debtor days. Law of delict, law of contract. 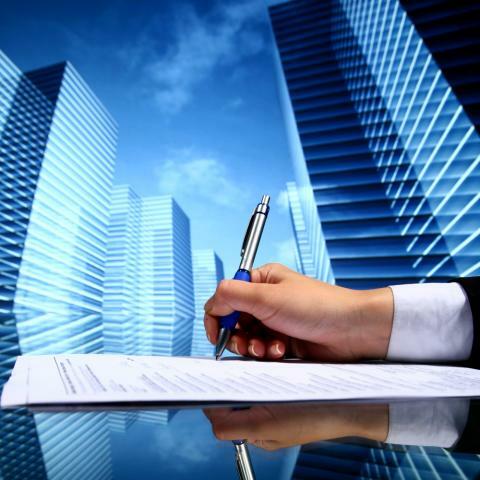 Legal structure of business enterprises, sole trader, partnership, private company, public listed company. Occupational Health and Safety Act and Regulations. Project review and client feedback procedures. A sound understanding of the consulting engineering industry and the structure and business of consulting engineering firms, an introduction to economics and market theory, and an appreciation of quality, moral and ethical issues and communication and other interpersonal skills. An introduction to finance, including basic accounting practices and the accounting process, project costing and invoicing, company accounts, budgeting, planning and financial analysis. An introduction to the principles of law and the legal system, legal structures of businesses and the principles of a contract and construction contracts. A sound grounding in all aspects of the entire project delivery process with emphasis on the role played by the consulting engineer, his duties and responsibilities. In essence, the programme will broaden the participant’s knowledge at the level of a tertiary education institution. Email facilitator/s and other class students. 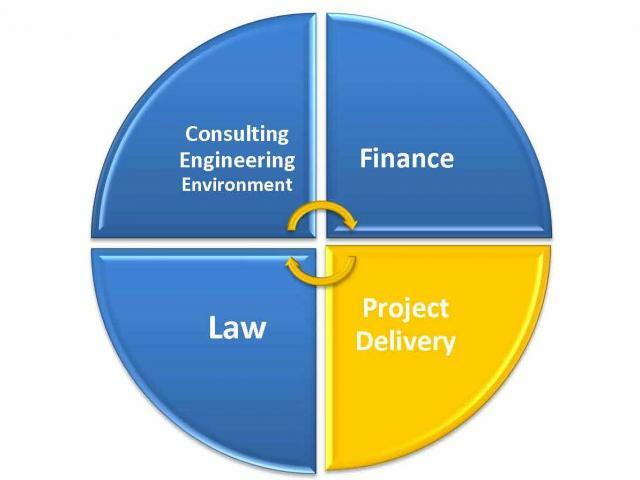 The School of Consulting Engineers, under the auspices of Consulting Engineers South Africa (CESA), renders a valuable service in validating external training provider’s courses, seminars, workshops, lectures, site visits, conference, congresses, colloquiums (hereinafter referred to as ‘Event”) for Continual Professional Development (CPD) credits. This CPD events will be used as a mechanism through which all registered practitioners will be able to renew their Registration with ECSA. Section 22(1) of the Engineering Profession Act, 2000 (Act 46 of 2000) requires that a registered practitioner has to renew his or her Registration and has to "apply (in the prescribed manner) to the Council for the renewal of his or her Registration. Five credits per year, or 25 credits are acquired over a 5-year period, within the three categories of CPD activities. CPD credits must be obtained in at least two of the three categories listed below, with at least 1 credit per annum from Category 1. All other bodies who want to register their event/s in Category 1, such as private companies or state organizations, would therefore need to have their event/s CPD validated by a recognised voluntary association. The organisers would approach the recognised voluntary association and follow their policy, procedure and complete an application form. A validation fee would be charged, as there are assessors fees and administration costs to be paid. The recognised voluntary association for that discipline and/or category of registration would then arrange for the assessment of the content and on approval would be awarded CPD credit. A confirmation letter and a certificate would then be sent to the successful training provider. It is the responsibility of registered persons, who intends participating in an event to ensure that the event has been validated and that the credits awarded to such event will be recognised by ECSA. The activity should serve to maintain or enhance the knowledge, skills and competence of all those who participate in it. The activity should meet an educational and developmental need and provide an effective learning experience for the participants. The participants or group of participants must be specified (e.g. professional engineers, professional technologists, professional certificated engineers, professional technicians, registered technicians or a specified category, e.g. registered lift inspectors) and where appropriate, the discipline should also be specified. The depth and breadth of the subject matter covered must be appropriate with sufficient time for discussion. The subject covered should provide a balanced view and should not be unduly promotional. The presenters should have proven practical and academic experience, and be good communicators. Evaluation forms for obtaining feedback from participants on the activity must be provided for rating the relevance, quality and effectiveness of the activity. The duration of validations for courses, seminars and workshops will be 3 (three years) unless specified differently. Conferences, congresses, colloquiums, lectures and site visits, are only valid for the duration of the specific event and appointed date/s of such event. For the full ECSA Policy document and amended rules, please consult the ECSA website, and click on ‘CPD’ on their homepage. IRREGULAR EXPENDITURE WITH SPECIAL EMPHASIS ON THE AUDITOR GENERAL REPORT FOR 2015-2016- PROJECT ADMINISTRATION SERVICES (PTY) LTD. Presentation Skills for Engineers Trade Roots Consulting Inc. Temporary Works Design Part 1 Waco Africa (Pty) Ltd. The Training Provider must complete the on-line CPD Validation application form (ECPD2a). One hard copy of all the training material, including PowerPoint presentations and handouts, which will be used for the event. A copy of a blank evaluation form for obtaining feedback from participants for rating of the relevance, quality and effectiveness of the event. The above is to be submitted no less than six weeks prior to the commencement of the event date. a specialist in the event’s specific field will be identified and sent for assessment. The specialist will assess the training material and complete an evaluation form and possibly write a report. They will then either ‘approve’, ‘pending approval with changes’ or ‘reject’. If approved, CPD credits will be allocated and a validation number registered (in line with ECSA best practice). A confirmation letter, a certificate and the CESA logo will then be sent to the successful applicant. If unsuccessful, the training provider will be advised accordingly. The Training Provider must, at the end of each event, allow the delegates to evaluate the event. If delegates experience the event in a negative light, the training provider must submit a corrective action report to the CESA Education and Training Committee. Should the above not be duly completed and submitted to the School of Consulting Engineering (SCE), the validation number will be suspended by CESA with ECSA. It is therefore the responsibility of the Training Providers to submit the above documentation, timeously. CESA reserves the right to suspend the validation number, without prior notice, if the above information is not submitted, within 30 days from the event. Does the activity serve to maintain or enhance the knowledge, skills and competence of all those who participate in it? Does it meet an educational and developmental need, and provide an effective learning experience for the participants? Is the depth and breadth of the subject matter appropriately covered? Is an evaluation form attached for obtaining feedback from participants on the course and does it provide for rating of the relevance, quality and effectiveness of the activity? Are the objectives of the course clear? Does it have defined intended outcomes? Appropriateness of method of presentation. Does it address the anticipated benefit to the target group and to the profession as a whole? The duration of the validation period will be 3 (three years) unless specified differently. This process can take up to 4/6 weeks to complete, however, due to unforeseen circumstances it may take longer. Should the training material be rejected by the assessor, you will be advised and once the assessor’s suggested changes have been completed, the option to re-submit will be available. School of Consulting Engineering reserves the right to withdraw the validation at any time. If a dispute should arise then the CESA Education and Training Committee will resolve the issue. (A formal letter and supporting material must be submitted by the parties involved prior to the dispute). If the CESA Education and Training Committee fails to reach a resolution then the matter will be referred to Engineering Council of South Africa (ECSA). The Provider must complete the on-line CPD Validation application form (ECPD2a). A confirmation letter from each speaker (on the speaker’s or company’s letterhead), stating that they have agreed to speak at the event. A blank copy of the event’s evaluation form for obtaining feedback from participants in order that they may rate the relevance, quality and effectiveness of the event. If delegates experience the event in a negative light, organisers must submit a corrective action report to the CESA Education and Training Committee. the Manager of the School will assess the conference programme (see evaluation criteria below) and if acceptable, the event will be allocate CPD credits/points and a validation number. If unsuccessful, the provider will be advised accordingly. The Provider must, at the end of each event, allow the delegates to evaluate the event. If delegates experience the event in a negative light, the provider must submit a corrective action report to the CESA Education and Training Committee. CESA reserves the right to suspend the valiation number, without prior notice, if the above information is not submitted, within 30 days from the event. Does it meet an educational and developmental need and provide an effective learning experience for the participants? Is the deapth and breathe of the subject matter appropriately covered? Is there an evaluation form attached for obtaining feedback from participants on the course and does it provide for rating of the relevance, quality and effectiveness of the activity? The duration of the validation period will be only be for the actual days of the event. The Application form and the mandatory documentation (see No. 3) must be submitted to the SCE no less than six weeks prior to the commencement of the event. A summary of the lecture or site visit. A copy of a blank evaluation form for obtaining feedback from participants to rate the relevance, quality and effectiveness of the lecture or site visit. Documents to be submitted no less than two weeks prior to the commencement of the event date. a confirmation letter, a certificate and the CESA logo will be sent to you. The organiser must, at the end of the lecture or site visit, allow the delegates to evaluate the lecture or site visit. It is therefore the responsibility of the Providers to submit the above documentation,timeously. The lecture or site visit may not be promoting or selling a product or a service. The duration of the validation period will be only be for the actual hours of the lecture or site visit. The above is to be submitted no less than four weeks prior to the expiry date of the previous validation. a confirmation letter, a certificate and the CESA logo will then be sent. The Application form and the mandatory documentation (see No. 3) must be submitted to the SCE no less than two weeks prior to the commencement of the event. Please note that staff members are available on weekdays from 08:00 to 16:30. CALL FOR ‘EXPRESSION OF INTEREST’ (EOI) FOR 150 CANDIDATES TO ENROLL IN A CANDIDACY PROGRAMME TO CULMINATE IN THE REGISTRATION OF CANDIDATES IN DESIGNATED PROFESSIONS. CESA and SABTACO, in a joint venture have been awarded funding from the Construction Education and Training Authority (CETA), for the current year to embark on providing support (including financial support) to member firms/individuals to develop their Graduates/Candidates towards professional registration in a range of Built Environment (BE) categories. Depending on the success or otherwise this programme may be extended for a further 2 years. Priorities in terms of selection are previously disadvantaged individuals and in particular, females and persons with disabilities, but all applicants will be considered. All supporting documentation must be submitted together with the application, except for the Graduate /Candidate’s training plan, if not available at time of submitting. Graduates/Candidates with preferably more than 2 or 3 years’ working experience but a minimum of one year. Graduates/Candidates must not currently be receiving funding for a similar programme. All online applications received by the deadline (1 March 2013) and who meet the eligibility requirements will be reviewed as a potential candidate for the programme. Successful applicants will receive a letter of confirmation, a Co-operative Agreement with further details and conditions. The Graduate/Candidate must be a full time or contract (minimum of one year to completion) employee, whose company is a member of CESA and/or SABTACO or who is an individual member of SABTACO. The Graduate/Candidate, Mentor, Supervisor and SABTACO/CESA organisation/SABTACO Individual will be required to enter into a Cooperative Agreement with SABTACO/CESA JV. The annual membership subscriptions to CESA and/or SABTACO must be up to date and the firm must be in good standing. The Candidate must have a Mentor to oversee the implementation and completion of the programme. 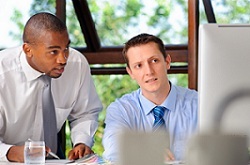 A registered Mentor will only be required if it is a requirement of the relevant Council. A minimum of 50 hours of mentoring per annum for the Candidate, depending on locality, must be provided to the candidate by his company. Provide an e-mail address and access to the internet for purposes of research, assignments and monthly reporting. The Candidate to attend any supplementary technical or soft skills courses considered necessary - these would normally not exceed 6 days of training per annum. If the participating member firms/individuals do not have a training plan for their Candidates, it will be the firms’/individuals’ responsibility to use a portion of its funding to appoint an outside service provider to assist with this process. A list of approved service providers can be requested from the CESA/SCE website (www.cesa.co.za/sce). All Candidates selected for support should be South African citizens and must have a South African degree from a University, University of Technology or former Technikon. Each Candidate’s firm/Individual will be allocated R40 000.00 per Candidate/year and will be paid according to prescribed milestones and mandatory reports submitted to CESA/SABTACO via the CESA Ment-A-net. All data, knowledge and documents communicated will be treated in the strictest confidence. Upload all supporting documentation to the online application form in either pdf or jpg format. Ensure you click on the ‘submit’ button for the EOI online application. A confirmation page will appear after submission. Please either save or print as proof of submission. The disbursement will (only) be paid by EFT directly to the Candidate’s employer’s bank account, at regular intervals, once milestones and periodic reports have been received, checked and verified. All information contained in this Expression of Interest (EOI) or subsequently provided is done so in good faith. This request to submit an EOI is not an agreement and is not an offer or invitation to enter into an agreement of any kind with any party. CESA and SABTACO reserve the right to accept/reject any Expression of Interest (EOI) from parties without assigning any reasons whatsoever.